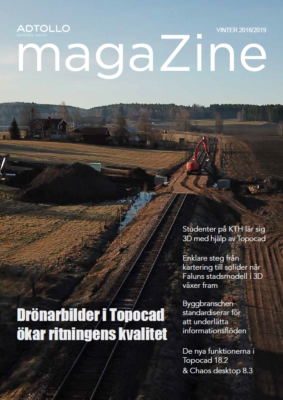 Topocad is a CAD system made for surveying, design and mapping. A CAD system that is close to the GIS, contains a lot of computing functions for Geodesy and supports design. Communication takes place on field instruments as well as other design systems, or GIS systems or databases. Topocad is a hybrid between many systems but in essence it is a fully featured CAD system. Situation Plans retrieved from a geodatabase. This can be stored in different databases and downloaded Topocad via any of the three database adapters. Topocad has a built-in drawing sheet where creating drawing sheets and map sheets is done. With smart templates creates situation plans quickly and easily. It is also easy to supplement with a legend, coordinate list, symbol legends, north arrows and scales.